In the early hours of August 6, 1887, nine members of the Woolfolk family of Bibb County, Georgia – ranging in age from 18 months to 84 years – were hacked to death in their home. The only surviving member of the household was 27-year-old Tom Woolfolk who quickly became the prime suspect. The press called him “Bloody Woolfolk” and it was all the sheriff could do to keep him out of the hands of a lynch mob. But when the trap sprung on Tom Woolfolk’s legal hanging, had the State of Georgia finished the work of the real killer? 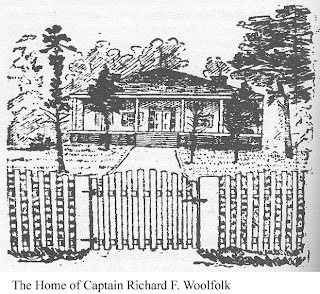 Around two o'clock, the morning of August 6, 1887, neighbors were awakened by dogs barking at the home of Captain Richard Woolfolk (pronounced WUL-fork) in Bibb County, near Macon Georgia. Tom Woolfolk, the captain’s oldest son, wearing just his socks and underwear, ran to the house of Green Lockett, a black sharecropper who worked on the captain’s plantation, crying, “Get a gun, they’re killing Pa.” Lockett refused to go back with him, but sent his son to alert the white families on the area. Soon a crowd of men, both black and white, had amassed at the Locket shack. Tom told them someone had entered the house and killed his entire family. Tom himself escaped death by climbing out the window. He did not see who the killer was. The crowd went with him back to the captain’s house and watched as Tom went back inside to make sure everyone was dead. No one else would go inside while it was still dark, they stood there waiting until daybreak. When it was light enough to see, the men entered the house and saw that Tom was correct, the entire Woolfolk family had been murdered. Amid thick pools of blood and spattered brains, nine bodies lay hacked to death: Tom’s father Richard F. Woolfolk, age 54; his stepmother Mattie Woolfolk, age 41; his half-brother R. F., age 20, his half-sister Pearl, age 17; his half-sister Annie, age 10, his half-sister Rosebud, age 7; his half-brother Charlie, age 5; his half-sister Mattie, age 18 months, and his stepmother’s aunt, Mrs. Tempe West age 84. Their heads had been smashed by blows from an ax, some wounds from the blade some from the end – a fact that led some to believe there were two killers. There was one set of bloody footprints made by Tom in his stocking feet. News of the murders spread quickly and by midmorning hundreds of people had gathered around the home of Richard Woolfolk, who had been a leader in the community. That afternoon a coroner’s jury was formed to investigate the crime. Tom, who had since put on pants and a shirt, was asked to strip so they could see the clothes he had been wearing. They noticed a bloody handprint on Tom’s thigh; he could not explain it. Under Tom’s bed someone found his bloodstained undershirt. The jury suggested that Sheriff Westcott take Tom to Macon for further questioning. They went out the back door. Out front, the crowd had already grown impatient with the wheels of justice and when they learned Tom had been taken away a group of men took off after them. Tom arrived in Macon just barely ahead of a mob bent on lynching him. Richard Woolfolk had married Tom’s mother Susan in 1854, the year he graduated from the University of Georgia. They had two daughters, Flo and Lillie, before Tom was born in 1860. Susan never fully recovered from Tom’s birth and died in 1865. Richard Woolfolk went to war, fighting for the confederacy and became Captain of Company A, Ross’ Battalion of the Georgia State Troops. He returned to find his home in a state of economic disarray. In 1867 he married Mattie Howard, daughter of a wealthy man, allowing him to regain his position as a gentleman farmer. At 27, Tom Woolfolk had yet to find his place in the world He had failed as a farmer and as a merchant. He was married, but his wife left him three weeks after the ceremony. He had a reputation for being unstable and eccentric; he was suspicious and irritable. After his arrest, several people came forward remembering threats Tom made against his father, and claiming he had more right to his father’s land than his half-siblings had. His motive for the murder was to inherit his father’s land. To that end, the order of the deaths would be important. If his father died before his stepmother, she would inherit the land and on her death it would go to her surviving family. If she died first Tom would be in line to inherit his father’s property. In fact, the property was not worth as much as people thought; the Captain was in bad financial straits and was heavily in debt. Tom Woolfolk was the only person the authorities looked at for the murder, but another name kept popping up. 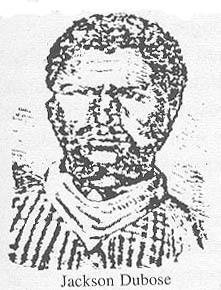 A black vagrant named Jackson Dubose had been arrested on suspicion of being an escaped convict. He began talking in detail about the Woolfolk murders. He claimed he did not participate but he was there when they happened. He was eventually released when it was learned that he had a reputation for lying about crimes, a dangerous game he used to get free room and board at local jails. The morning of December 5, 1887 there were more spectators trying to get into Tom Woolfolk’s trial then there were seats in the courtroom. Tom Woolfolk’s defense was handled by Colonel John C. Rutherford, the former Solicitor-General for the Southwestern court circuit. He moved for a continuance because a number of his subpoenaed witnesses, including Jackson Dubose, were not present. Judge George W. Gustin denied the motion. The prosecution presented all of the circumstantial evidence and testimony of witnesses who had heard Tom Woolfolk threaten his father. The defense tried to admit statements of witnesses who heard others claim they killed the Woolfolks, but because the speakers themselves were not in the courtroom, they were disallowed as hearsay. On December 14, 1887, as prosecutor John L. Hardeman was giving his closing arguments he had worked up the crowd to such an extent that several spectators began shouting “Hang him.” Judge Gustin was not effective in restoring order. The following day the jury returned a verdict of guilty. 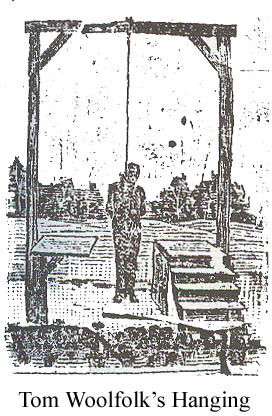 The case was appealed to the Georgia Supreme Court who considered the shouts of “Hang him” sufficient cause to overturn the verdict. On March 4, 1889, Tom Woolfolk was tried again. Rutherford believed his client could not get a fair trial in Bibb County, so moved for a change of venue. Judge Gustin denied the motion. On the close of the first day of trial it was reported that one of the jurors had said he would cause a mistrial before allowing the prisoner to be found not guilty. When Judge Gustin learned this, had little choice but to declare a mistrial. March 11 they tried again but only got to eleven jurors before running out of eligible men to serve. Judge Gustin was forced to try again in a new venue. On May 29, a new trial began in Houston County. This time several people reported that one of the jurors stated he did not believe in convicting a man on circumstantial evidence. Another expressed doubt about some of the evidence. Another mistrial was declared. 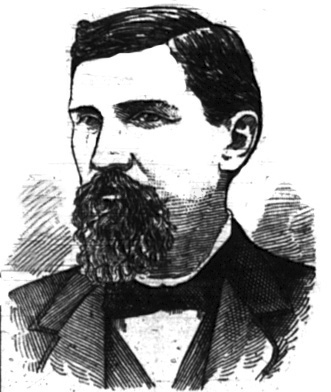 Tom Woolfolk’s fifth trial was held on June 8, 1889. This time the trial went to completion and again the verdict was guilty. The verdict was appealed but this time was not overturned. While Tom Woolfolk awaited hanging, Jackson Dubose was arrested as an accomplice in the Woolfolk murders. On July 5 Dubose met with Judge Gustin and they talked for an hour then. The Judge dropped the charge of murder entered against Dubose and tried him on a writ of lunacy. He was found guilty and sent to an insane asylum. "I, Thomas G. Woolfolk, realizing the existence of an infinite, wise and holy God, and so as to meet Him, knowing all that I have ever done, and fully understanding that I must stand before the judgment bar of God, and that today, in a few hours, I shall be called into his presence, do solemnly declare my innocence, and I leave as my last declaration that I did not take the life of my father or any member of his family, or have any knowledge of the person or persons who did the murderous deed. Signed Thomas G. Woolfolk." At 1:31 pm they sprung the trap. But the fall did not break his neck and Tom Woolfolk slowly strangled to death. He was pronounced dead at 2:11. "Tom Woolfolk was mighty slick but I fixed him. I would have killed him with the rest of the damn family, but he was not at home." PERHAPS NOT GUILTY. ; NEW LIGHT ON THE KILLING OF THE WOOLFOLK FAMILY., The New York Times, September 20, 1887. You killed your family and didn’t fire a gun. Simon Cooper sure sounded literate for a black man in the South in 1898. I tend to take the bulk of local history dealing with anecdotes involving anyone not a white male with a grain of salt. 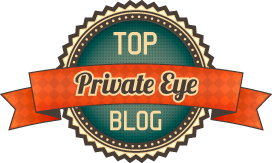 Fascinating blog, by the way. Elly you exude an air of extreme ignorance. 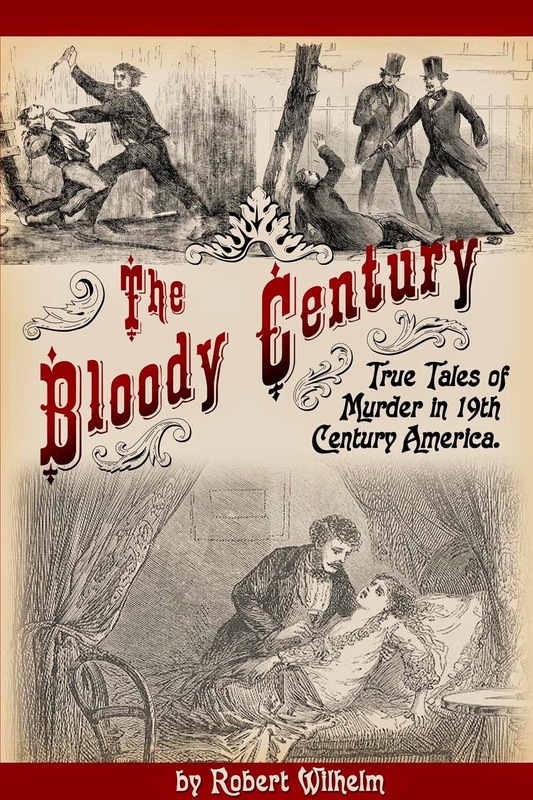 Dear Sir, my name is Alan G. Gauthreaux and I am an author, historian, and educator who specializes in historical crime. I was wondering where some of the photos you use in this blog came from and are they available to use in a manuscript. Please advise. Alan, The pictures were taken from the books "Shadow Chasers" and "The Woolfolk Tragedy" by Carolyn DeLoach. I don't know where they were originally published but I believe they are in public domain. If you could contact me privately at truecrimemdi@gmail.com so that we may discuss the photographs further. Thank you very much in advace. Thank you! It was great to see a member of the family responding to comments as well, so thank you for taking the time to do that.